An abstracted floral image in warms and neutral tones. 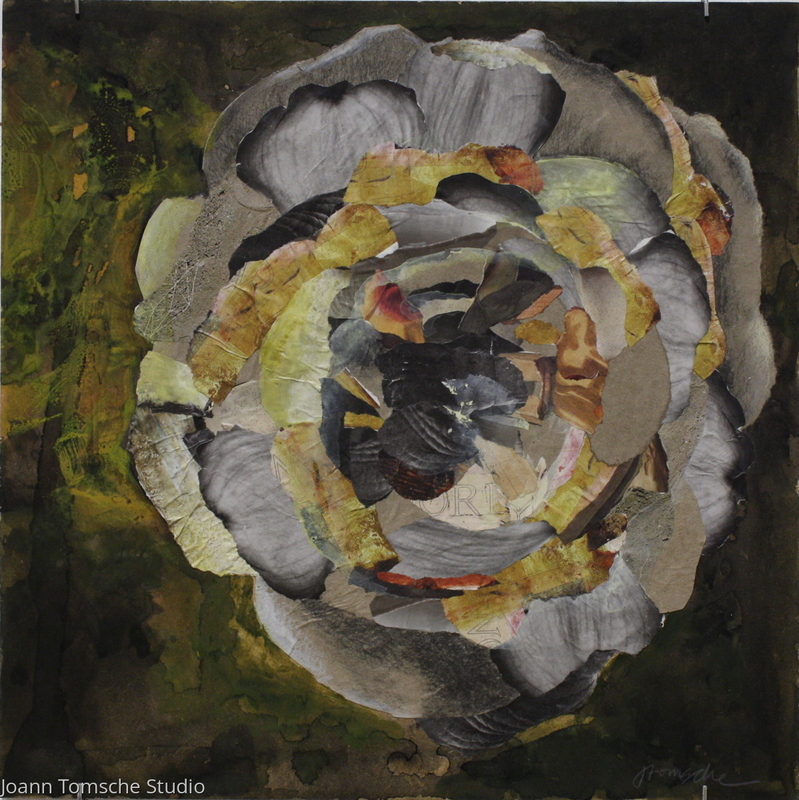 Mixed media on panel including torn and cut paper, pigment dyes, india ink, acrylic, color pencil and graphite. With a thin wood strip finish.